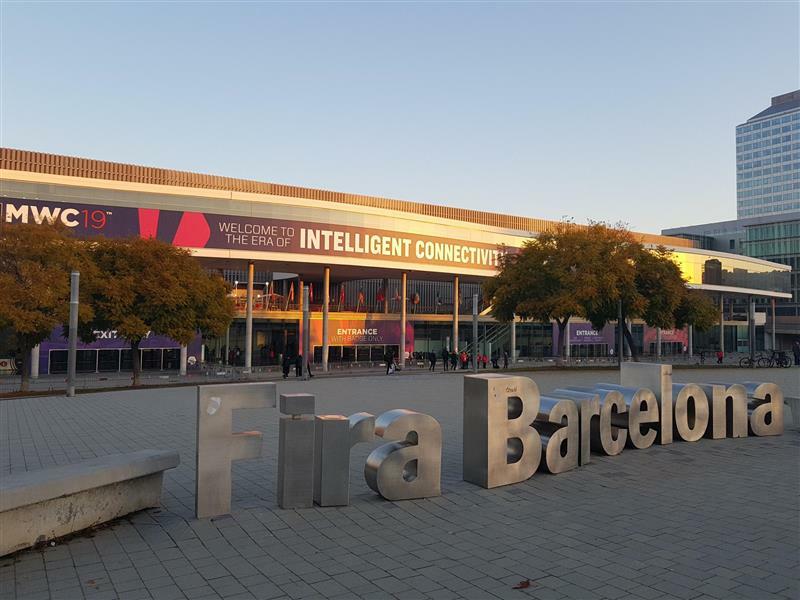 MWC19: are we ushering in an ‘era of intelligent connectivity’? It’s a bold claim to make, but after last year’s MWC Europe was described by some as a “damp squib,” this year’s theme proposed to “usher in the era of intelligent connectivity,” thrusting high-speed 5G networks, IoT, AI and big data to the forefront of discussions. Organisers were keen to highlight ‘intelligent connectivity’ will open up a number of opportunities for highly personalised experiences. Much of the discussion was driven by developments in the connectivity infrastructure – 5G, full fibre or otherwise, advances in artificial intelligence and machine learning, and the proliferation of smart devices in the IoT ecosystem, many of which were on the tradeshow floor. To our relief, MWC 2019 also moved past the gimmicky phase of IoT – who can forget the “record everything your kids say” wearable device of 2016 or the infamous laggy smart fridge which, in low lighting, could have passed as an iPad sellotaped to a regular fridge. Swish. The conversation has moved on to how humans are going to engage in a simple, holistic way with their smart environments. And the biggest players in the world of tech are sitting up and taking notice. The success of voice services like Alexa, Google and Siri means that consumers are questioning why they need separate remote controls or mobile apps for each piece of technology in their home when they can ask a digital assistant to close the curtains, dim the lights and cue up the film on the TV. XMOS was in the Department for International Trade’s exhibition space to showcase why voice is the natural interface between human and machine, withdemonstrable use-cases. Despite the challenges associated with running voice-enabled devices in a trade-show environment (the noise equivalence to a zoo), the commercial products on display passed the ultimate test: far-field voice capture with up close accuracy. Freebox Delta: the brainchild of innovative French telecoms operator Free, Freebox Delta is a high-performance fusion of technologies – a set-top box, media streamer, soundbar, WiFi server and smart home hub that responds intelligently to both touch and voice. XMOS provided the far-field voice capability for its two on-board personal assistants, Alexa and OK Freebox. Hello2: created by the California-based communications company Solaborate Hello2, transforms your TV into a powerful communications device that responds intelligently to touch and voice. With far-field voice capture, a 4K HDR video sensor and a six element lens, Hello2 plugs into your TV with an HDMI cable to integrate audio, video and collaboration, so you can enjoy everything from digital whiteboarding to screen sharing, media streaming and gaming. Pillo: created by Boston-based Pillo Health, this companion robot redefines the role of voice-enabled assistants in the homes of the elderly, sick and vulnerable, as well as transforming the way healthcare is administered. The Pillo robot is more than just a voice-enabled pill dispenser. By harnessing artificial intelligence, the device is capable of carrying out two-way interactions with its patients, offering genuine companionship as well as assistance. Of the many, exciting new technologies on show, we were wowed by BMW’s Natural Interaction prototype, uses voice recognition, gesture control and gaze tracking to understand what you want to do in your car without pressing a button. Our CEO Mark Lippett spoke to analyst firm Bloomberg NEF on why cars represent such an exciting opportunity for voice technology. The combination of voice, sensors and AI will deliver conceptual awareness, which opens the potential for improved safety, reduce distractions and the ability for us to connect seamlessly with our voice assistant or ‘digital twin’. Perhaps a more fitting theme for this year’s show would be the era of intuitive intelligence. To look at connectivity in isolation, without articulating the benefits it’ll bring to consumers, can be frustrating – particularly as big token advancements such as 5G are still on the horizon for many. Today, voice interfaces are being adopted at double the rate of mobile phones when they first appeared. They are firmly positioned for general adoption at the intersection of humans and an augmented environment – which will be supercharged by next generation networks. The ultimate goal has to be a move away from touch-based commands toward ambient computing – where our interactions with the technology around us feel intuitive and easy – and we don’t need to learn how to use it, because the intelligence is already embedded in the device. Going to MWC19? Building a voice interface into a new or existing product? Then come and see us at the show. XMOS far field voice processors are designed for high-tech, innovative device and hardware manufacturers who are looking to improve or implement a voice interface. Join us in our private meeting room to experience the power of voice through some of our latest commercial implementations. It’s a fantastic opportunity to see how XMOS can help you transform the way consumers access content on your devices. We’ll demonstrate why our far-field voice processors are optimised for edge of room and stereo devices – like smart TVs, set-top boxes and soundbars. We’ll also share our exciting plans for the future. If you’d like to meet with us, we’d love to hear from you – just click on the link to request a meeting.